…loved on my girl Devon’s house tour on Glitter Guide. …am still obsessed with delicate ring stacking. And NO ONE does a better stack then Catbird. I need them all! …thinking about taking a trip to Charleston. Specifically in December. More specifically for Garden & Gun’s Jubilee Festival. …stumbled upon Bly thanks to my social media coordinator Kat. Bly is a shopping site like no other because you actually shop a new city every two months. You’ll get to explore the streets of Bombay to Bukhara and every where in between…genius! A MUST shop! …listened to “Wake Me Up,” by Avicii on repeat. …shopped Tory Burch’s summer sale where you can get an EXTRA 20% off this weekend only with code EXTRA20. I’ll take THIS, THIS and THESE. Please and thank you. 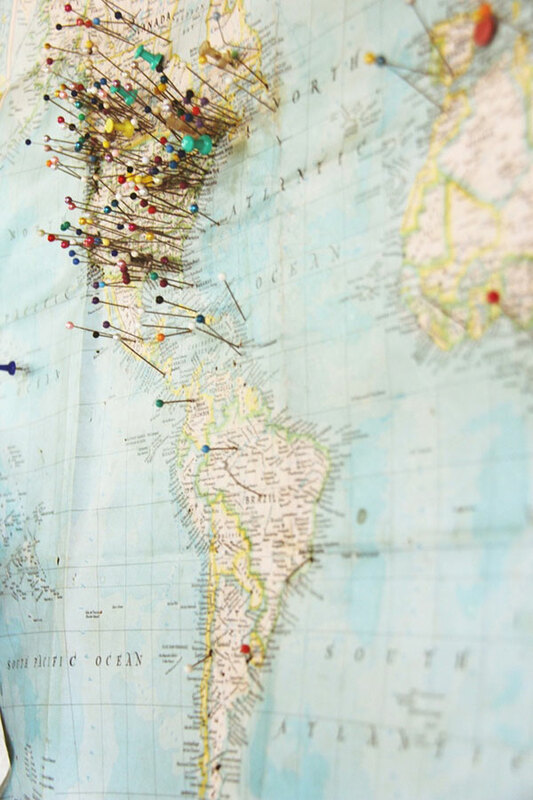 …had a major case of Wanderlust. The Mr. and I haven’t been on vaca for awhile, and I’m itching to pack up the car and get the heck out of town…to go on an adventure. It’s funny because when I chopped 12 inches off my hair this week (pic) so many people commended my bravery, some even called it fearless. And these comments got me thinking about fears and taking chances, and my own level of fearles-ness. Some things don’t scare me at all; moving to a brand new city, meeting people for the first time, starting a business with no business plan, spiders, cutting my hair. And other things scare the daylights out of me; flying, traveling to “remote” locations, water snakes, bees, death. The truth is though it’s in those moments of fear when I have a handle on them I feel the most free, the most alive. And that is a feeling I can’t get enough. I think as you start to get older you start to place a higher value on life and the quality of life. And I want nothing more than to live the fullest life I can. To feel alive everyday. Because Tom Petty said it best, “You belong somewhere you feel free.” truly, MKR. P.S. I’ve shared these Casey Neistat + Nike videos before, but I feel they’re worth another watch. Make It Count 1 & 2. And in case you’re wondering yes his videos did make me buy a Nike Fuel Band. so when will we see you with the new hair? I cut mine also on Friday. it is wild to see what are other people’s fears. I definitely love your new haircut – you fearless fox!